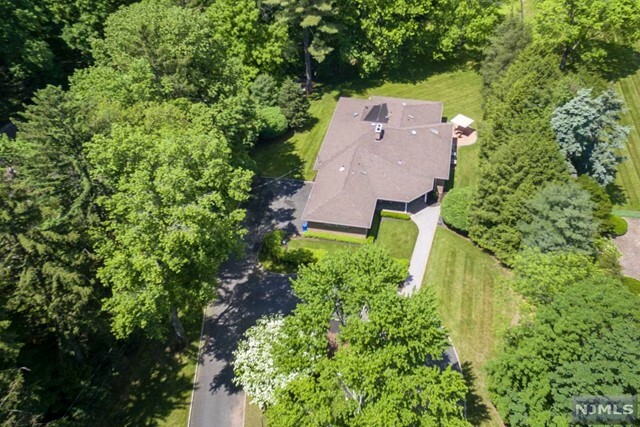 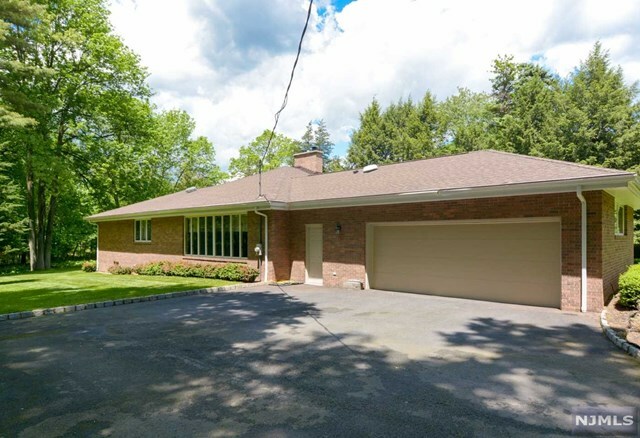 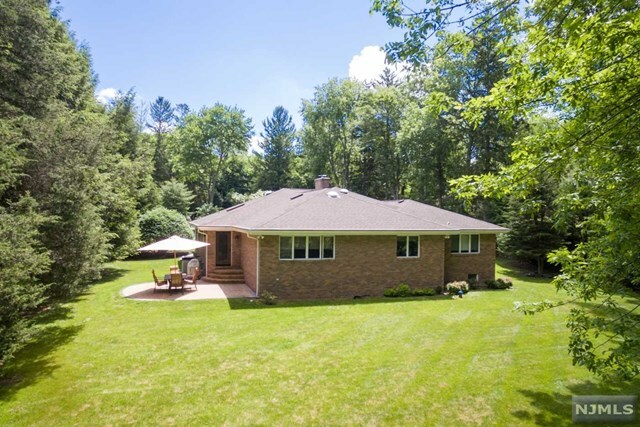 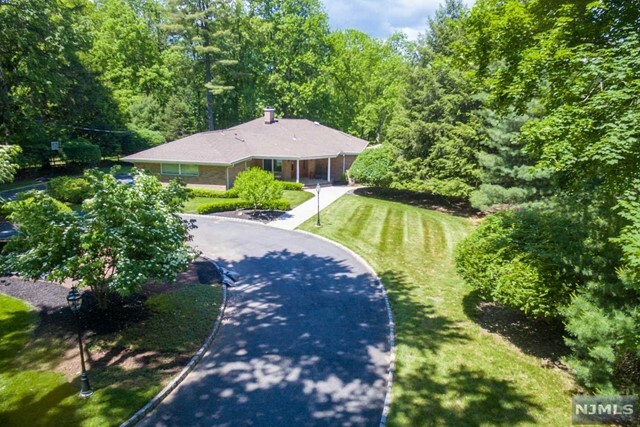 Completely updated ranch set far back on a circular driveway. 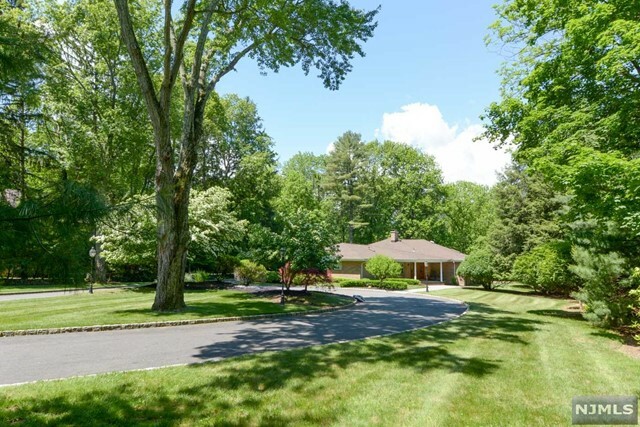 This 3,400 square-foot east-facing home rests on 1-acre of beautifully landscaped grounds. 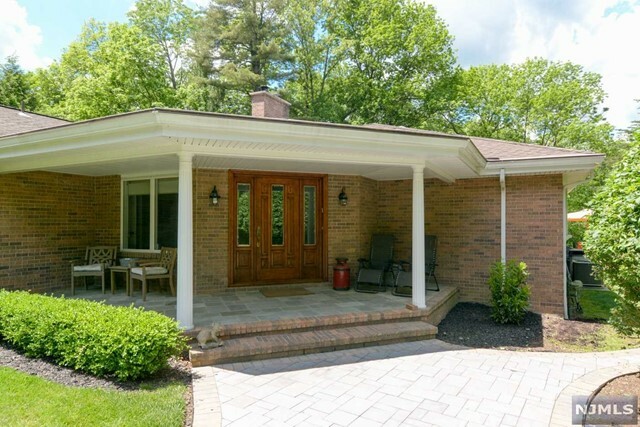 A bluestone porch complements the architectural brick exterior. 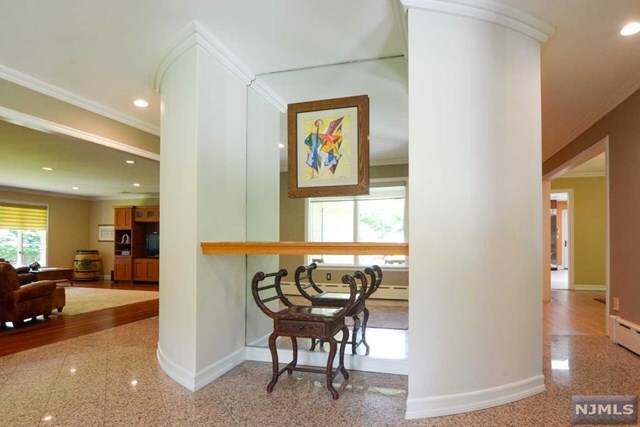 Inside is an entry hall with granite tile and powder room. 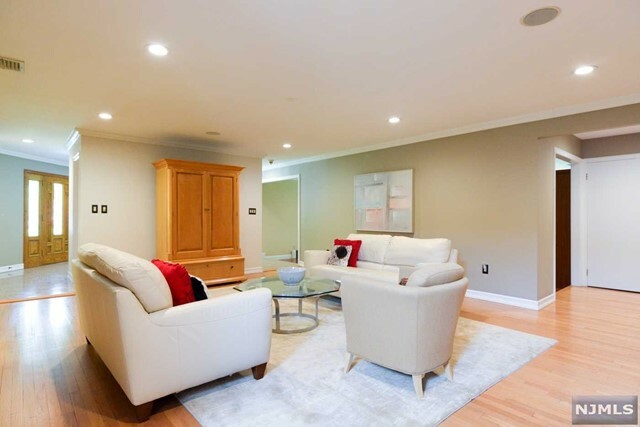 The living room is the focal point of the home surrounded by family room, kitchen and dining room. 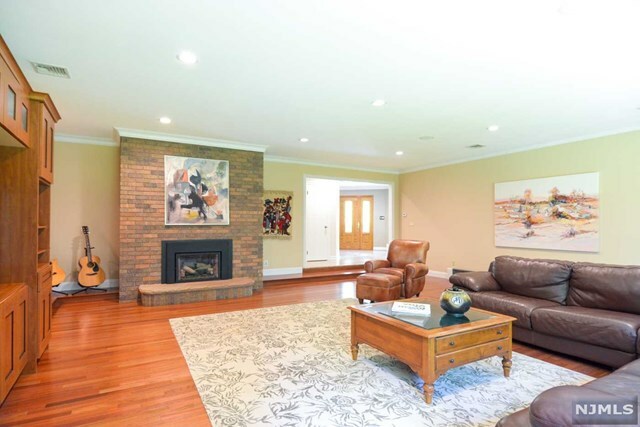 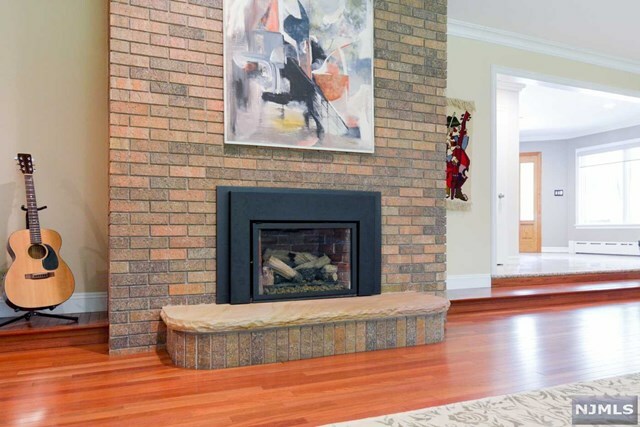 The sunken family room has cherry flooring and a dramatic brick fireplace. 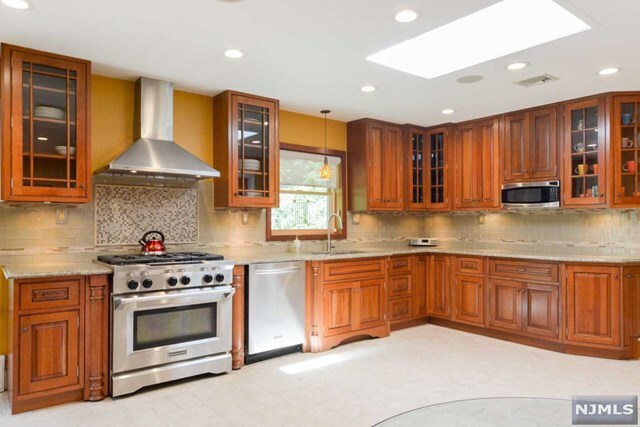 The updated kitchen features stainless appliances, subway tile backsplash and skylights. 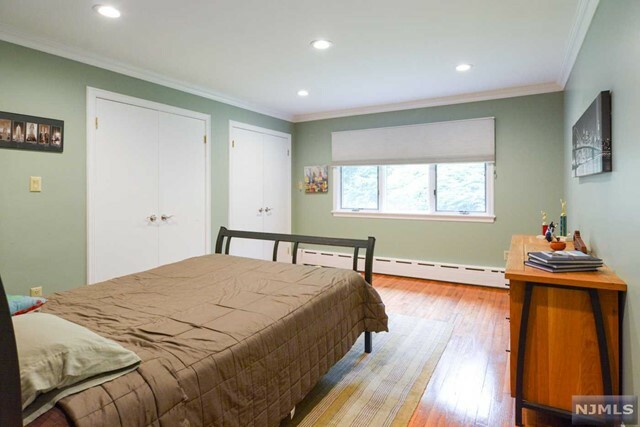 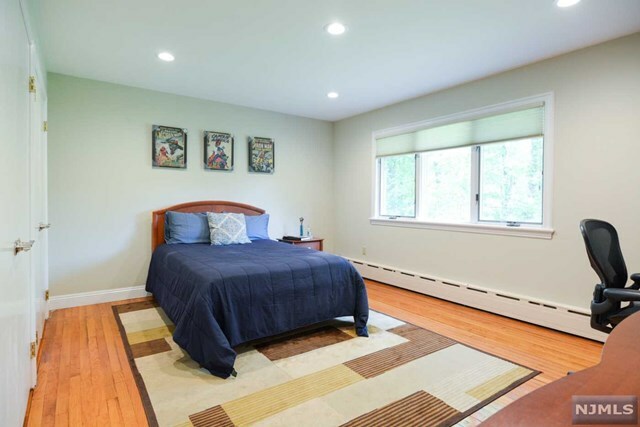 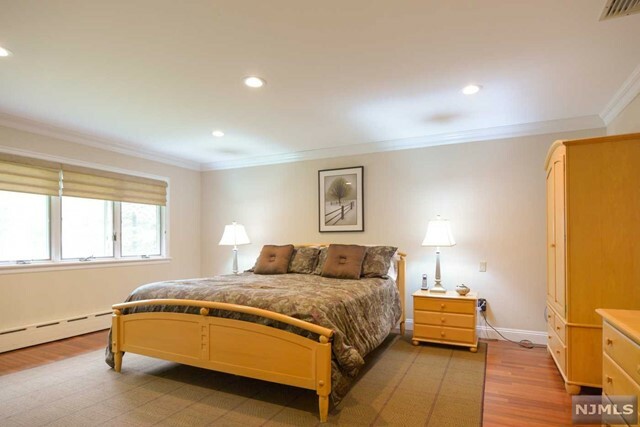 The master bedroom has cherry flooring and his/hers walk-in closets. 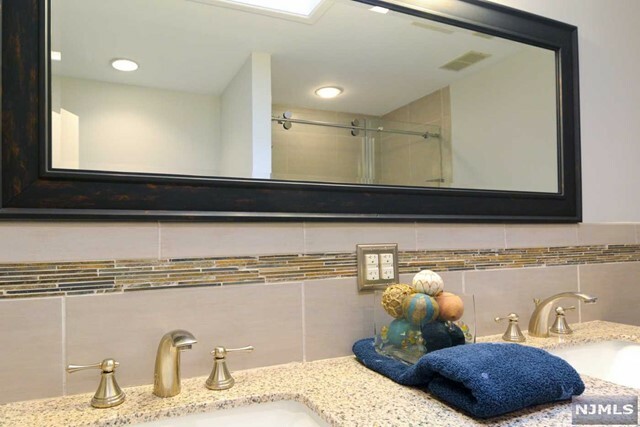 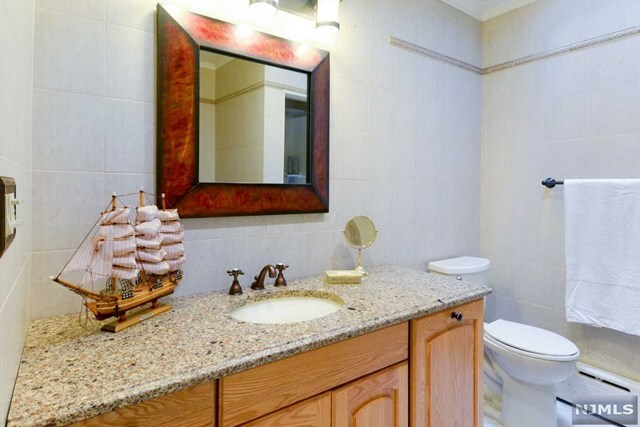 Both the master bath and hall bath are updated with frameless showers and skylights. 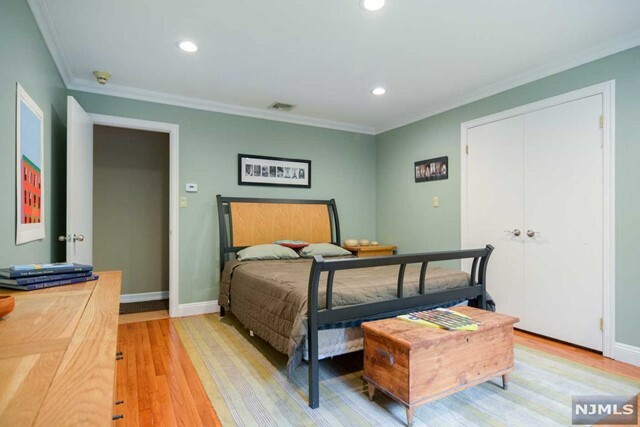 All bedrooms have hardwood flooring – one has built-ins to double as a home office. 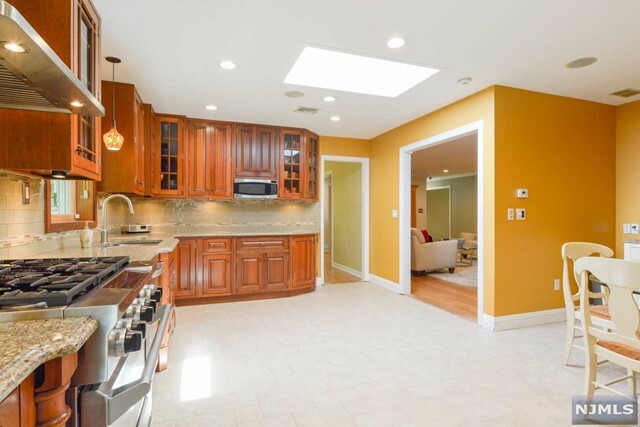 A laundry room completes the 1st floor. 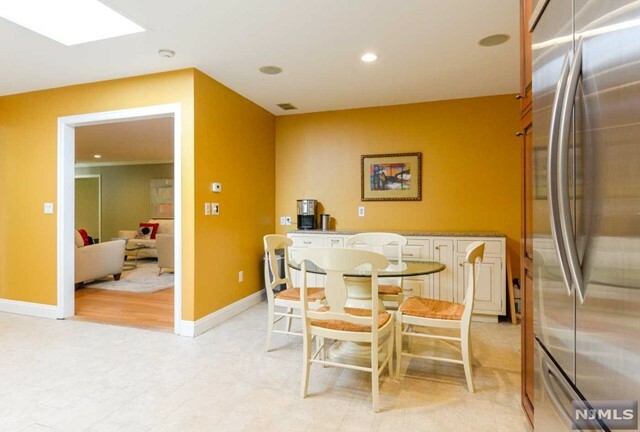 There’s an oversized 2-car attached garage and a newer paver patio off the kitchen. 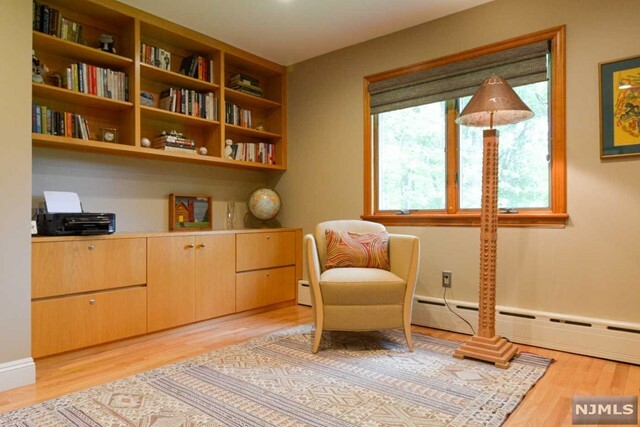 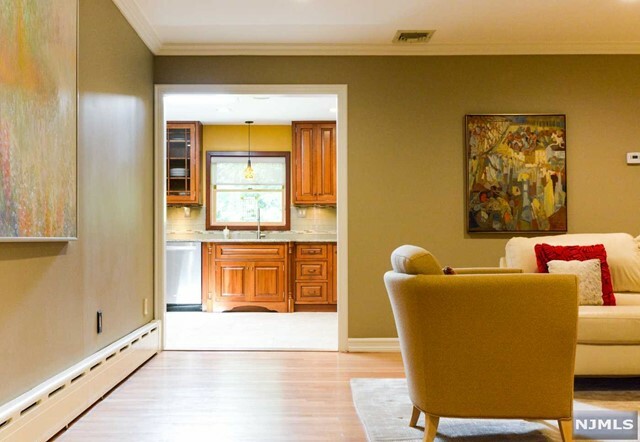 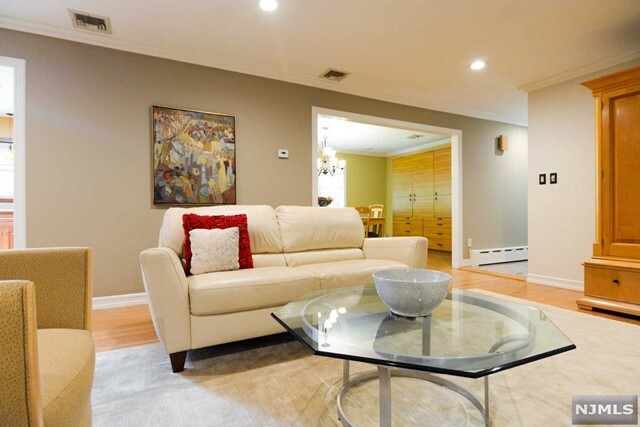 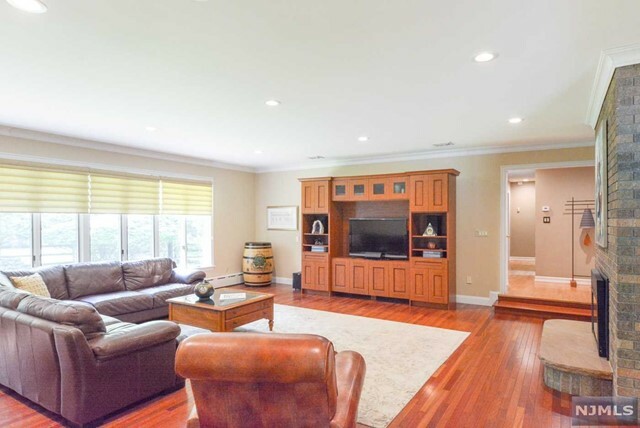 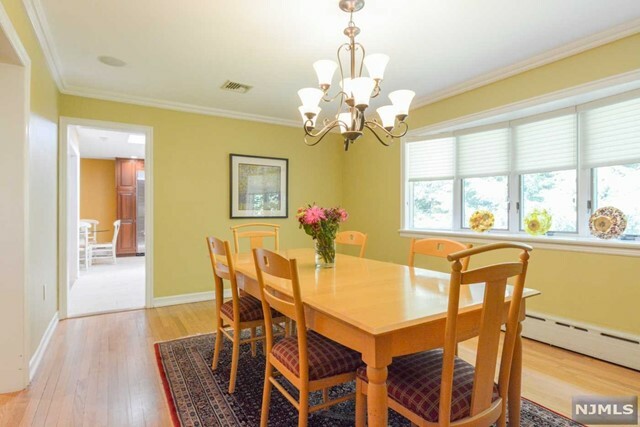 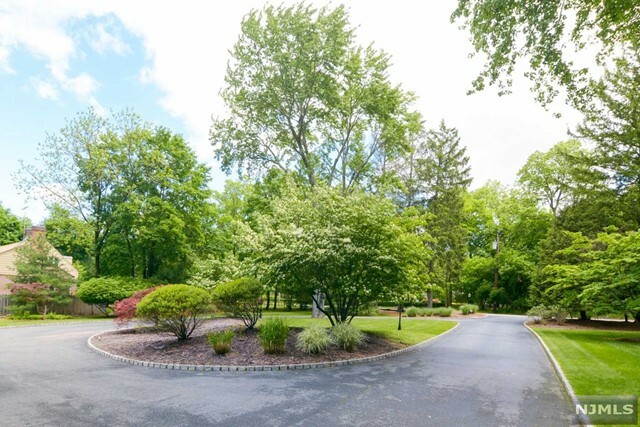 This home is one-floor living at its finest – in Bergen County’s most desirable borough.